On Target Gun Molds™ weapon molding props are used for making thermoform plastic and custom-fitted leather holsters with. Made from plastic/urethane resin, these are very sturdy, yet water resistant. Made by a professional holster maker, these molding props are custom designed from the actual live weapons and have been modified to improve the fit-up of your holsters, as the site channel and trigger areas have been filled-in for improved draw and re-holstering. 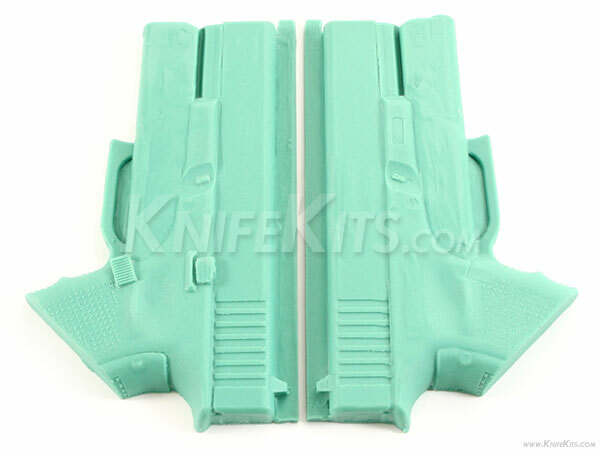 These are excellent props and are designed with the professional holster maker in mind. This version is a butterfly mold. 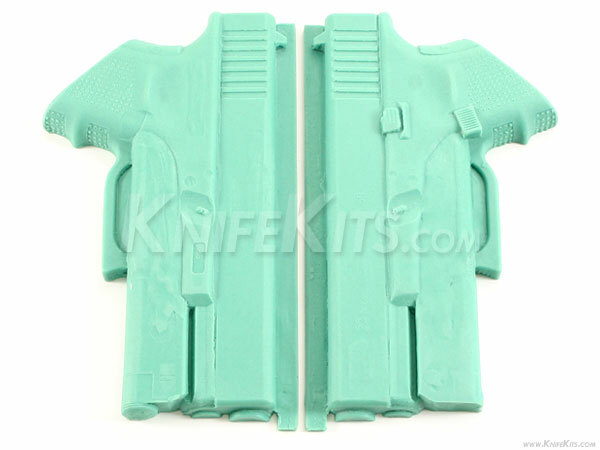 It is designed for use in a molding press and will help where a 1-piece (taco style), or a 2-piece (sandwich) style holster design is desired.